More Mexican Everyday teaches home cooks how to build tasty meals with a few ingredients in a short amount of time. Cooking Mexican couldn't be easier, or more delicious. Rick generously reveals the secrets of his dishes -- the salsas and seasonings, mojos and adobos he employs again and again to impart soul-satisfying flavor. He explains fully the classic techniques that create so many much-beloved Mexican meals, from tacos and enchiladas to pozole and mole. Home cooks under his guidance will be led confidently to making these their go-to recipes night after night. "Everyday" Mexican also means simplicity, so Rick dedicates individual chapters to illustrate skillful use of the slow cooker and the rice cooker. Also included are a special variation of the classic chicken-and-rice pairing, Arroz con Pollo, with an herby green seasoning, and an addictive roasted tomatillo salsa that's flavored with the same red chile seasoning brushed on his lush Grilled Red-Chile Ribs. Rick loves to highlight the use of seasonal, diverse vegetables. The heart of this cookbook is devoted to modern creations that range from a JÃ­cama-Beet Salad inspired by Mexico's classic Christmas Eve salad to a sweet-and-tangy butternut braise. Rick's flexible imagination also transforms breakfast into a meal for any hour. His Open-Face Red Chile-Chard Omelet is as great for Wednesday night dinner as it is for Sunday brunch. Not to be forgotten is Rick's array of show-stopping desserts, among them Mexican Chocolate-Pumpkin Seed Cake and Fresh Fruit with 24-Hour Cajeta and Bitter Chocolate. In all his recipes, Rick carefully guides you through every step, suggesting ways to invent, adapt, and simplify without sacrificing flavor. 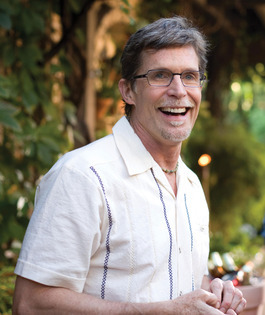 Rick Bayless has written six cookbooks, including "Mexican Everyday" and "Fiesta at Rick's." His product line of prepared foods is sold coast to coast. With his wife Deann he owns and operates Chicago's casual Frontera Grill, named "Outstanding Restaurant" by the James Beard Foundation, and the four-star fine-dining Topolobampo. XOCO, a Leed-certified quick-serve restaurant, opened in 2009. He is the host of the public television series "Mexico - One Plate at a Time."